Can anyone confirm the parking/angel eye bulb in the headlight. Everywhere I look lists the 5W5 (blade type) but I had Halfords change it and they said they swapped it with what was in there and put in a T4W (screw in). It now lights up but I still have a lamp warning light on the dash. All other bulbs are working so I'm a little confused. 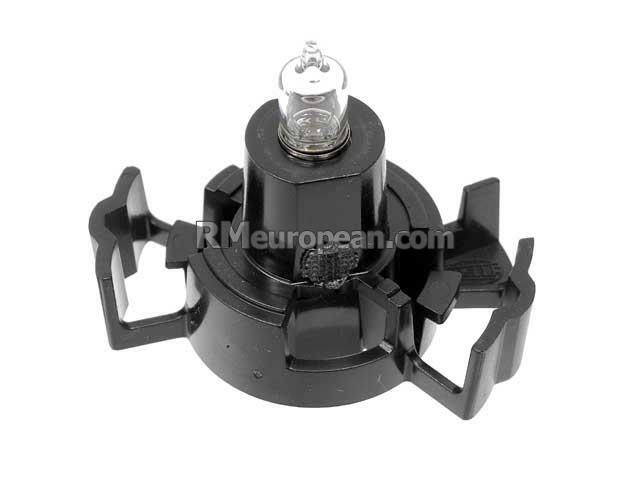 The angel-eye bulb is a 5W5, but it's encased in a holder that you can only buy from BMW. A T4W is a bayonet fitting, so maybe they've just replaced the indicator bulb (which i think should be a H21W). But the angel eye is now working whereas it wasn't before using the t4w but still have the warning light. Motor in boot now! Bilstein b12 kit now fitted. Yes I've read up on that maybe the previous owner did it. Guess halfords weren't to know. Ill probably just replace with the oem bulb holder or could I just slip a 5w5 in there? If it wasn't such a pita to remove I'd just have a look. I don't think it's a 5w5, it's a push and twist style bulb, although one forum member completely redesigned his holder so he could fit a different style bulb. I see what you did there... "Halfrauds"